When it comes to evaluating the best cars for families, who is better to give a thorough test to a vehicle than the parents who will be driving them. Parents magazine doesn’t give you the best vehicle from each category, they give you a short list to choose from. Wisely, they let your family decide which is best for you. Subaru is one of the brands they have chosen for you to look at. The brand is known for their family-friendly all-wheel-drive SUVs, and Parents magazine says two in their lineup are the best in a category. The all-new Ascent earned a spot in the 3-Row SUV category, and the completely redesigned Forester earned recognition in 2-Row SUV category. While both vehicles were recognized for safety, convenience and value, the 2019 Ascent was recognized for versatility and features, and the 2019 Forester was recognized for fuel economy. But are they the best for you? Parents magazine evaluated 30 vehicles focusing on safety, comfort, convenience, features and value and came up with 10 vehicles they think are best. They were organized into three categories: Best Minivans, Best 2-Row SUVs and Best 3-Row SUVs. Along with the Forester SUV in the Best Two-Row SUV category was the Ford Escape, and GMC Terrain. Along with Ascent family hauler in the Best Three-Row SUVs was the Volkswagen Atlas, Nissan Pathfinder, and Honda Pilot. Best Minivans were the Kia Sedona, Toyota Sienna and Honda Odyssey. Liz Vaccariello, Editor-in-Chief of Parents says, “We wanted to evaluate what’s important to families at a level that exceeds other car rankings.” Parents went on to say that safety is “top of mind” when they made their decisions on the top 10 Best Family Cars. Choose what’s best for your family based on your values. Is safety important? This is where the Subaru brand shines compared with all other SUVs. It’s a core value for the Japanese automaker as they’ve focused on developing the top safety features and they get top marks every year from the Insurance Institute for Highway Safety (IIHS). Both the 2019 Ascent and Forester score TOP SAFETY PICK+ with the IIHS for 2019. Are Forester and Ascent best for you? The two new models have been getting numerous awards since the two new models launched last year. The new 2019 Forester and Ascent are also Consumer Reports Top-10 picks of 2019 for Best Cars of the Year. The 3-Row Ascent grabs “Family Vehicle of the Year” from the Midwest Automotive Media Association, and SUV of the Year from the Rocky Mountain Automotive Press, and Forester repeats as “Best Car To Buy” by Car Connection for the second year in-a-row. 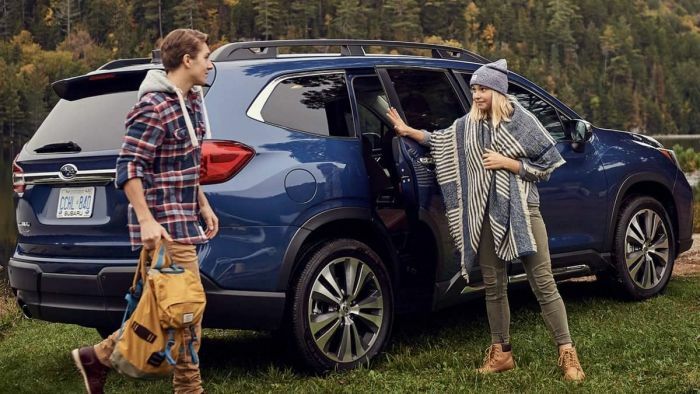 According to Kelly Blue Book, both Forester and Ascent make their 12 Best Family Cars for 2019 list. Are they the best for your family? Only you can decide.